This week we are exploring Native American versions of Cinderella. 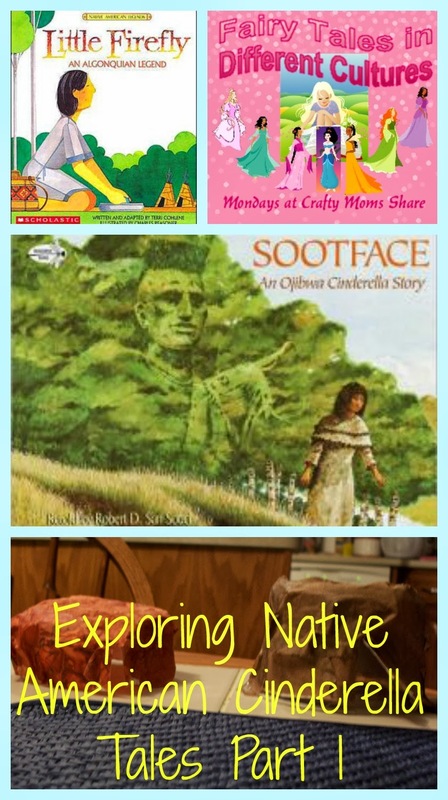 November is Native American History Month, so I thought in honor of this, we would share these versions. Thus far I have found four versions. All four seem very similar. I am going to share two with you today and the other two next week. 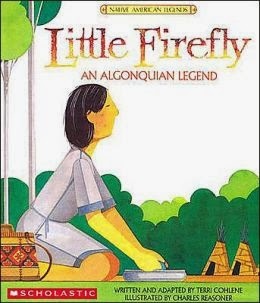 This week we will discuss Little Firefly: An Algonquian Legend written and adapted by Terri Cholene and Sootface: An Ojibwa Cinderella Story retold by Robert D. San Souci. First a bit about the Algonquian and Ojibwa People. First there is no and never was an Algonquian tribe. 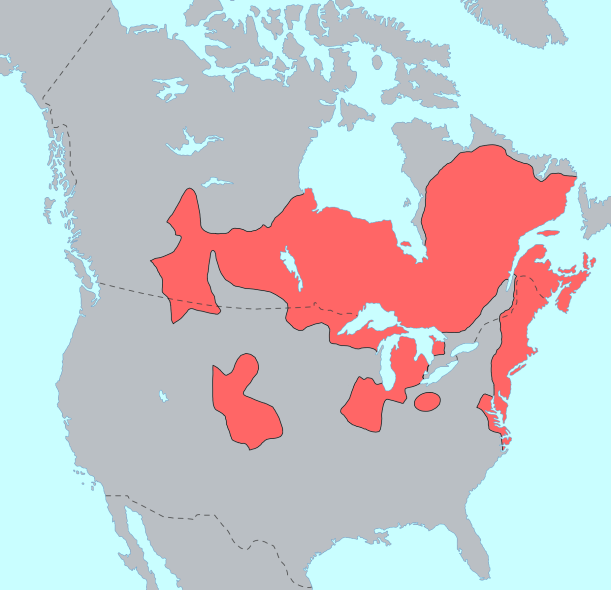 Algonquian is a word used to describe the hundreds of tribes that spoke the Algonquian languages. The Ojibwa is one of the Algonquian tribes. This may be why these two stories are almost identical. The Algonquian People lived all over the United States and in Canada. 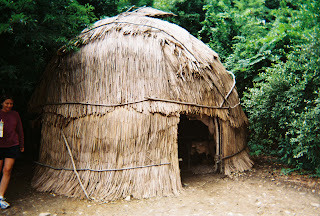 (Source) Last year on the Wampanoag Tribe which is also an Algonquian group. The Wampanoag Tribe are the Native People who were at the first Thanksgiving with the pilgrims. The Ojibwa are also known as the Chippewa with different spellings for both. They are the largest group of Native Americans north of Mexico. They live in both the United States and Canada. In the United States they were the fourth largest tribe. Since the stories all had wigwams in them, Hazel and I made models of wigwams. We used the instructions for these in More than Moccasins by Laurie Carlson. 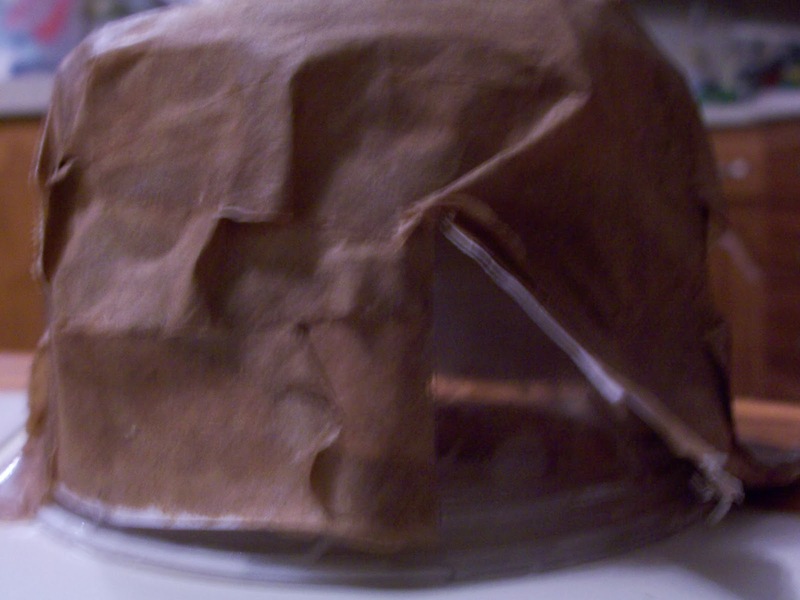 There were two ways to make the wigwams: with a coffee filter or a brown paper bag and glue. First you need five strips of white paper each one-inch wide. Tape two together to make a long strip and then make them form a loop. Use the other three to give the roof some structure. 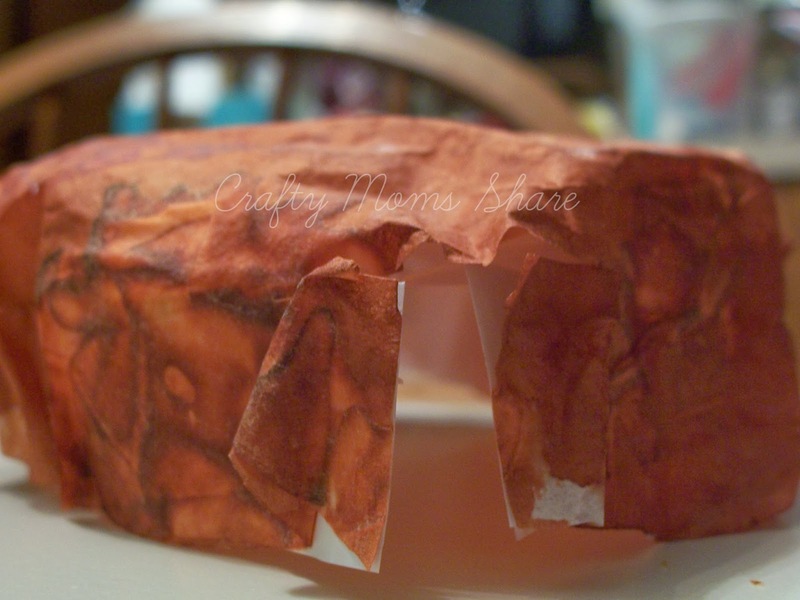 If you are using the coffee filter paint or color it brown. Hazel used her dot marker. 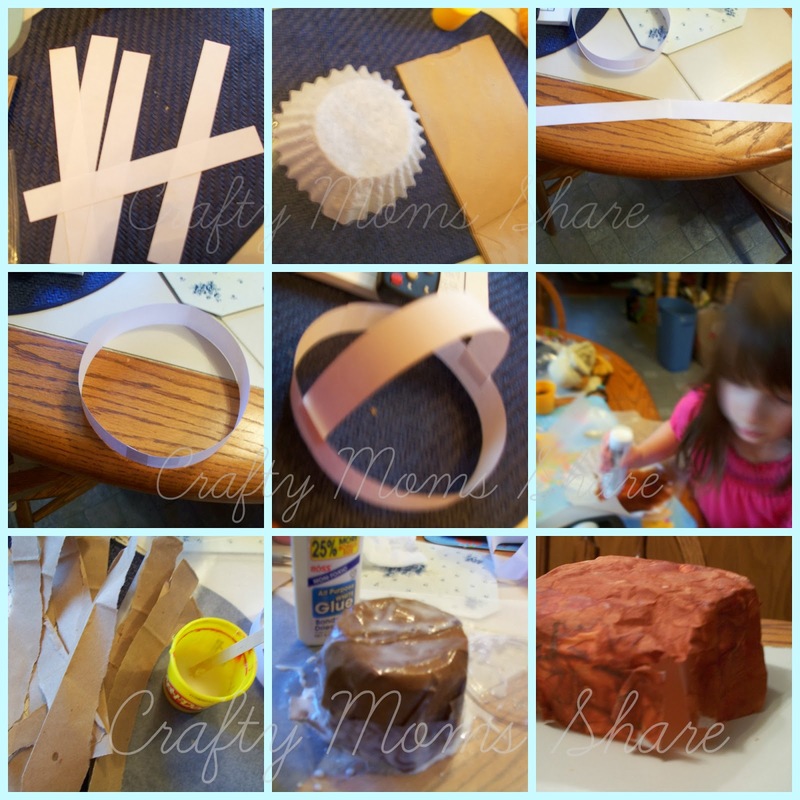 Once it is dry glue it on. If you are using the paper bag, rip strips and mix glue with water to paper mache the strips on. We made one of each. Once the glue is dry you cut a door. You can also glue grass, bark or other natural things to make it look more real. We however had lots of rain, so we did not do this. In these stories there is a man who has three daughters. The eldest two make the youngest do all the work and purposely burn her with the fire. She has scars on her face and hands and arms and her hair is short due to being singed. In one version her name is Little Firefly, but her sisters call her Little Burnt One, and in the other version she does not have a name, but her sisters call her Sootface. In both versions there is a great hunter who has the power to make himself invisible. The only person who can see him is his sister. It is said he will marry the woman who can see him. All the young women of the village try to win his hand. One day the eldest sisters decide to try separately. His sister greeted each of them and when they said they wanted to marry her brother, she asked them some questions. The questions were what is his bow made of and what is it strung with. The sisters guessed incorrectly and were sent home. The next day Sootface or Little Firefly decided to try. (In one version her mother's spirit tells her to go and see The Invisible One in a dream.) Since she did not have a nice buckskin dress to wear like her sisters she made a dress from birch. She softens her father's old moccasins and does her best to fit them to her feet. Her sisters make fun of her as she goes, but she gets in her canoe and paddles across the water to the Invisible One's wigwam. His sister greets her. In Little Firefly she says she is there to help with the work, but the sister asks if she can see her brother. As he approaches she can see him and is able to answer that his bow is made of a rainbow and strung with the stars of the Milky Way or the Star Bridge of Souls. Upon hearing this, the sister takes the girl and washes her and her scars disappear. Then she gives her the finest buckskin dress to wear. She has her sit in the seat closest to the door which is the spot for the wife. The Invisible One comes home and is happy to meet his new wife. I hope you will join us next week for the other two versions that are very similar. Then we will have one version that is very different from these four. Tomorrow is the day for Virtual Book Club for Kids. This month's author is Karma Wilson. I hope you will come see which of her books we are sharing!